The Americans with Disabilities Act (ADA), passed July 26, 1990, has improved the quality of life and opportunities for a wide swath of the American public. According to the 2010 census, about 56.7 million people — nearly 1 in 5 Americans — had a disability. Whether you have a disability or know someone who does, there’s a good chance you may benefit from the ADA. What exactly is the ADA? This federal legislation expanded civil rights protections, opportunity, access and equality to Americans who have disabilities. 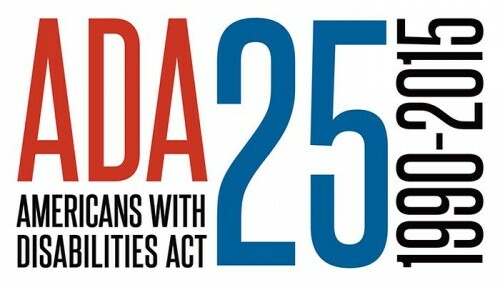 Specifically, the ADA prohibits discrimination against people with disabilities in employment, transportation, public accommodation, communications, and governmental activities. c) being regarded as having such an impairment, even if it is not present. An employer may not treat a qualified employee or job applicant unfavorably because she or he has a disability. The applicant or employee is qualified by the ability to perform the essential functions of the job, with or without reasonable accommodation. Restructure the job. Changing when or how tasks are performed. Modify work schedules. Allowing an employee with a disability to handle medical appointments or medication schedules, get needed rest, etc. Acquire or modify existing equipment or devices. Adjusting a desk height for wheelchair access, or providing an employee a mouth stick device to type on their computer, for example. Provide assistive technology or devices. Use computer screen readers for employees with visual impairments, or a telephone compatible with an employee’s hearing aid. Adjust or modify tests and training materials. Providing materials in alternate formats, such as braille, CD or large print. To understand how common job accommodations are, look around your workplace to see how many people wear glasses, an accommodation for people who lack 20-20 vision. Accommodations may improve work conditions and processes for all employees. The ADA has profoundly influenced how society views and accommodates people with disabilities. Universal design — the practice of designing products, buildings and public spaces and programs to be usable by the greatest number of people — has helped create a society where curb cuts, ramps, lifts on buses, and other access designs are increasingly common. An accessible society is good for everyone, not just people with disabilities. The ADA has created a more inclusive climate at companies, institutions, and organizations; all now reach out and serve people with disabilities far more than before the legislation. The ADA is helping improve conditions for everyone, but barriers to employment for people with disabilities continue, along with higher likelihood of experiencing poverty. The progress under the ADA will continue. Want to learn more about the ADA? See further details on defining disability under the ADA on CareerOneStop. For more job search information for people who have a disability, visit CareerOneStop.